Being crowned best in the industry helped Mandeville Private Client grow its business by 40% last year. The firm was “truly honoured and humbled” to win The Fundserv Award for Advisor Network/Brokerage of the Year at the glitzy Wealth Professional Awards night. And it wasted little time incorporating the recognition into its branding as well as showing off the silverware to prospective clients and advisors. Frank Laferriere, the company’s director, senior vice president and COO, said the award reinforced the feeling of trust in Mandeville that is so vital in the industry. He said: “I’m not kidding, we take those magazine covers and just about every opportunity we get, we put them in front of prospective advisors, and then advisors use it with their client base. The 2018 event takes place on May 31 at the Liberty Grand, Toronto, with the February 23 deadline for nominations fast-approaching. To nominate yourself or a peer, simply log on to www.wpawards.ca and follow the links. 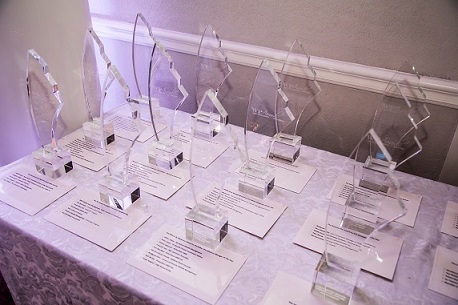 Mandeville held off competition for last year’s award from CIBC Wood Gundy, Canaccord Genuity Wealth Management, HollisWealth, Investment Planning Counsel, Investors Group and Manulife Securities. Laferriere said that the night itself felt like the Academy awards and that the firm has been encouraging its advisors to put themselves or colleagues forward for this year’s categories. He said: “It was quite an honour for us and it’s really helped us position the firm as a winner. It’s the first thing we bring up with clients and it’s the first thing we bring up to potential advisors. Michael Lee-Chin, the company’s founder, renowned businessman and philanthropist, has a stellar track record of success and Laferriere added that it was nice for the Burlington-based operation to add some silverware to his long line of awards. Laferriere said: “Mr Lee-Chin has a global footprint and his other organisations are always winning awards. So for Mandeville, in particular, to receive an award, it was really a shot in the arm for everyone here.